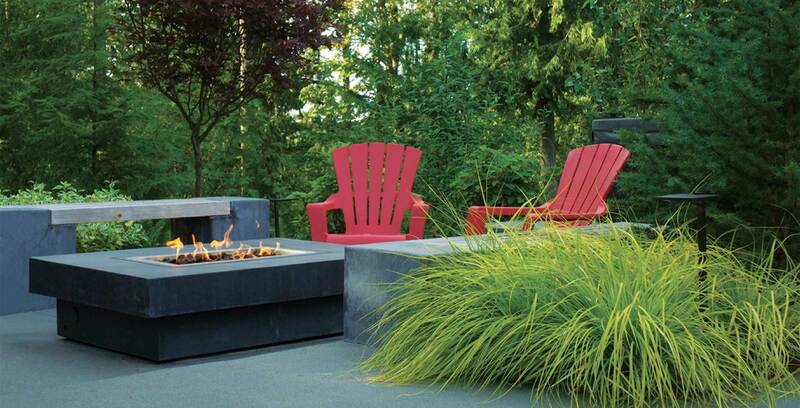 Making the most of property abutting a greenbelt, this landscape features a covered barbeque island, seating around a fire feature, and a discreetly placed spa. 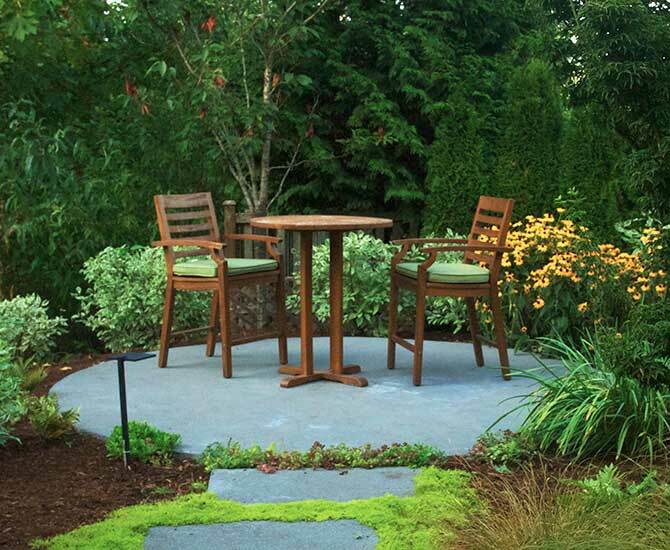 Higher bar chairs allow for better views into a wooded greenbelt ravine. 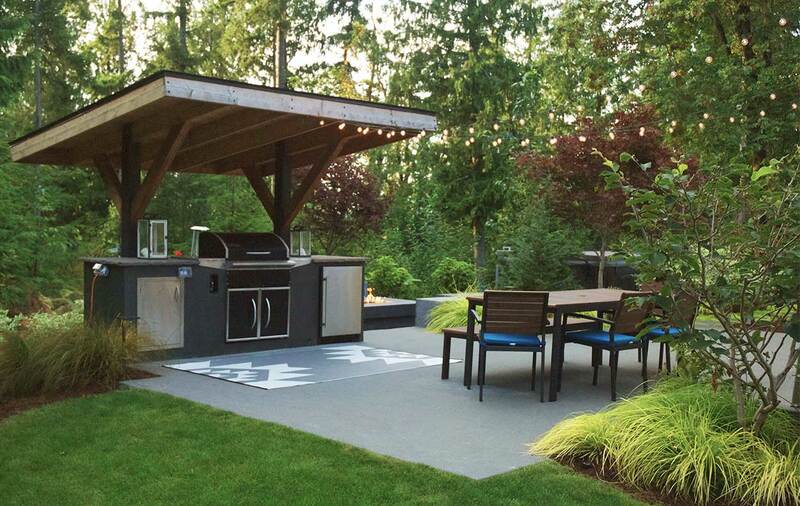 Grilling in the rain is not a problem given the ample roof above the barbeque. 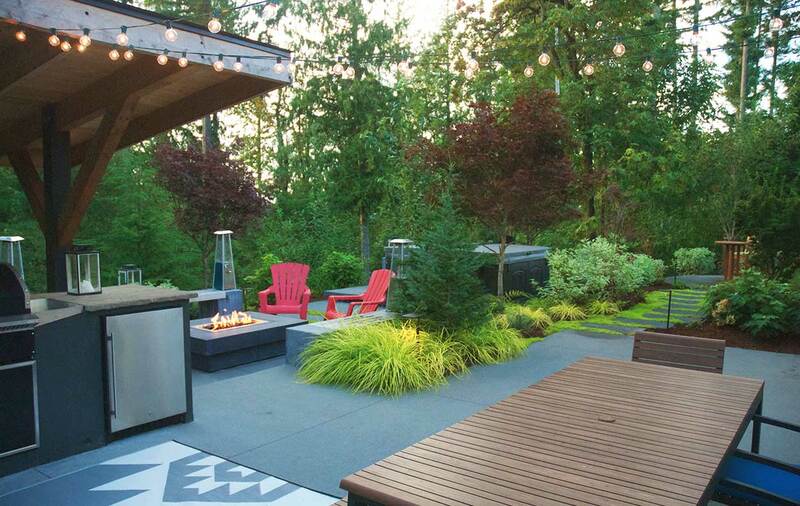 Plenty of counterspace, storage, and a refrigerator make for easy outdoor entertaining.